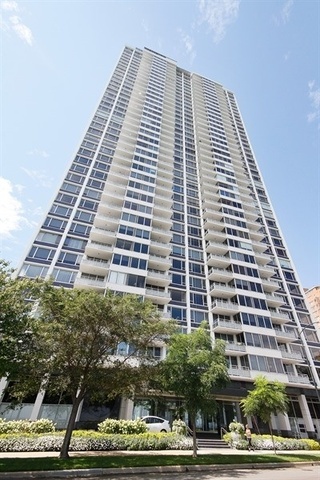 Just renovated 2 bedrooms/2 bathrooms condo in one of the Gold Coast's premier buildings. Unit features a spacious open floor plan with views of Lake Michigan, East Lake Shore Drive, Navy Pier and the city skyline to the south. Private elevator entrance to your front door. Brand new Ash hardwood floors, 9 ft ceilings, new windows, new electrical, new side loading washer/dryer & new plumbing. Brand new kitchen features white cabinetry, quartz countertops, high-end SS appliances, integrated dishwasher & Bosch hood. New modern bathrooms w/ porcelain subway tile, glass shower doors & Hansgrohe fixtures. Large master suite features a large walk-in closet & separate shoe closet. In unit washer/dryer. Large 13x7 terrace. Full amenity building with 24-hour door staff, newly renovated pool, exercise room, Jacuzzi, indoor pool & rooftop sundeck. Valet parking $290 per month & includes weekly car washes. Free guest parking. Pet-friendly. Assessments include heat, air, storage, internet & cable. Property information last modified by seller on Monday, March 25, 2019, 08:56 PM CDT. Information Deemed Reliable But Not Guaranteed. Unauthorized duplication, use, or linkage is prohibited. The information on this web site is for personal, non-commercial use and may not be used for any purpose other than to identify prospective properties consumers may be interested in purchasing. Monthly Payment Calculator results are for illustrative purposes only, not a financing opportunity; calculations assume a 30-year fixed-rate mortgage and do not include closing and other costs. Property Tax on NEW properties is estimated at 1.5% of Listing Price for payment calculation purposes; actual value may be higher or lower.